Jurgen Klopp says he is not remotely concerned with Roberto Firmino‘s below-par form for Liverpool, admitting it can happen to any player. Firmino enjoyed his best-ever season as a footballer in 2017/18, scoring 27 times and maturing into one of Europe’s most effective strikers. The 27-year-old has failed to hit those heights since August, however, managing only three goals in the Premier League and struggling in a deeper position. Klopp has often used Firmino as a No. 10 in a 4-2-3-1 formation, and he seems to have lost the spark and all-round influence that was on show last season. Speaking in his pre-Burnley press conference, the Liverpool manager said he is not worried in the slightest about the Brazilian, lauding his attitude in the process. “It’s completely normal that he doesn’t play his best football in each second of the game, but he’s an important player,” Klopp told reporters. “That’s just how it is with a player’s career, you have these moments where you fly and you cannot really explain it, and other moments where you have to work a bit harder. “That’s exactly the case for him, it’s nothing to worry about. It’s just a normal football season. “We all have to go through these little holes and everything will be fine again. 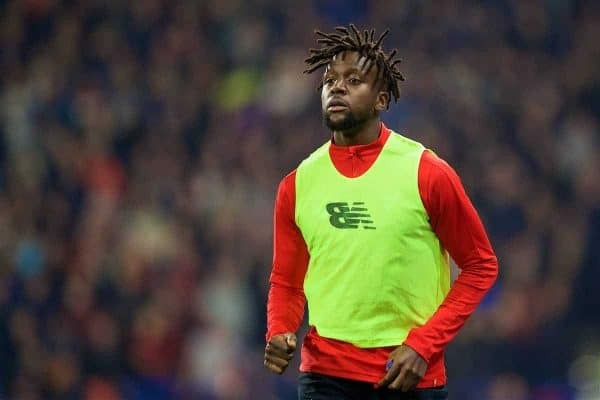 Klopp also had a word of praise for Divock Origi, following the striker’s match-winning heroics against Everton on Sunday. He said he is delighted with the way the Belgian took his chance to shine, with patience paying off after a lack of playing time. “There was nothing to criticise Divock and Dom Solanke about,” he added. “Both are not in the most fantastic situation in the squad. If you train day in, day out and do everything, and you are not picked for the squad or the starting lineup, that’s not easy. “But it’s a wonderful example for making yourself ready for the moment. “It was such an important thing and so nice. That’s football as well, sometimes things change in a second in the wrong direction, and sometimes in the right direction. “He played for about 10 minutes and had three really good situations—the turn and run on the right-hand side with a good cross for Daniel [Sturridge], then the shot that hit the crossbar and the goal. With a busy schedule ahead, Liverpool’s squad depth is going to be tested, with Klopp likely to employ rotation over the coming weeks. 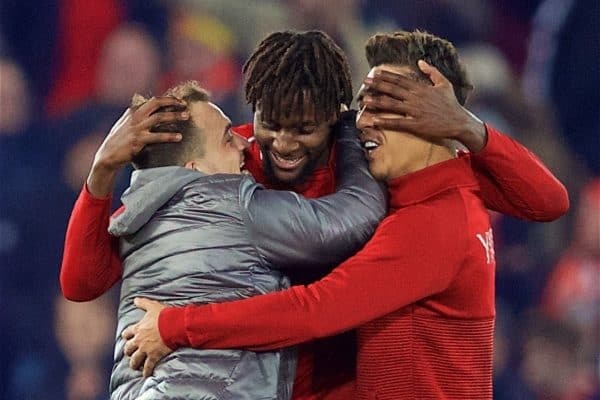 Firmino is due a rest and both Origi and Solanke, along with Sturridge, may have pivotal roles to play during the festive period. Wednesday’s trip to Burnley is followed by another away game at Bournemouth on Saturday lunchtime, before vital home matches against Napoli and Man United next week.